There are a number of reasons why poor circulation happens. Common health issues that Americans face like obesity, diabetes, heart conditions and arterial issues can all lead to bad circulation. Our circulatory system is designed to transport oxygen-rich blood throughout the body, supplying it with the nutrients it needs to remain healthy. When blood becomes stagnant, however, certain problems may arise. If you have dealt with poor circulation for a long time, there is probably a chance you have varicose veins. These unsightly veins usually appear around the thighs, legs and stomach. Lack of blood flow may cause the blood to settle, at which point the veins enlarge while turning into a deep bluish/purplish color. Varicose veins are a leading factor of blood clots, which is why it’s important to prevent them from forming. People who suffer from poor circulation also have a higher risk of kidney damage. Found just below the rib cage, the kidneys are responsible for filtering blood to produce urine. If they don’t receive enough blood, the kidneys won’t be able to perform this function as intended, which subsequently results in buildups of toxins. Massage therapy is a simple and effective treatment that can help poor circulation. Whether it’s a Swedish, Thai, myofascial, or sports massage, massage is known to improve blood flow and reduce pain. Many people report seeing a positive improvement in their circulation after just a single session. The more sessions you have, the more your circulation should improve. If you are seeking massage therapy for the purpose of restoring blood flow and improving your circulatory health, let your massage therapist know. He or she can then use special techniques to encourage blood flow, often applying greater force around areas in which the blood has settled. Of course, improved circulation is just one of the many benefits associated with massage therapy. It will also lower your stress levels while relieving body aches and pains. Avoid sitting for long periods at a time. 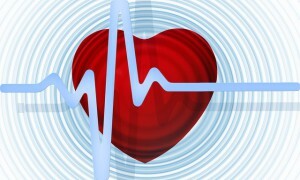 Perform more cardiovascular workouts, such as jogging, running, jump roping, swimming and tennis. Eat more fruits and vegetables while cutting back on foods with high concentrations of sodium and refined sugar. Drink plenty of water daily (at least eight, 8-ounce glasses). If you are a smoker, kick the habit. Smoking has been shown to slow blood flow throughout the body. This article was posted in Massage, wellness and tagged circulation. Bookmark the permalink. Follow comments with the RSS feed for this post. Both comments and trackbacks are closed.